Last night, I had the opportunity to hear one of my favorite speakers, Mrs. Janet Mancini. I’ve heard Janet speak numerous times over the years. I’m always inspired by her enthusiasm, tried and true ideas, and deep love for her family. I love you because you’re honest. I love that you’re so friendly. One thing that makes you special is that you’re kind. You know, you’re just like Dad. Janet said that your children will live up to who you say they are. Maybe you’ve said that your son is a “handful”? Or your daughter is a “spoiled princess”? Or maybe one child a “jock” and the other one a “brain”? Do you really want them to grow up to be a handful or worse? Focus on their specific character traits to encourage them for life. Your children will live up to who you say they are. 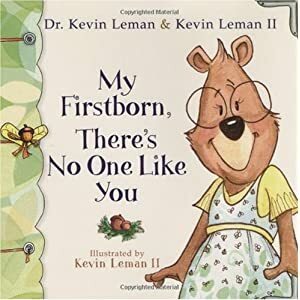 If you need some encouragement in the “what makes your child special” department – check out these books below. 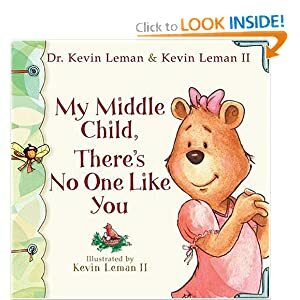 Dr. Kevin Leman wrote the Birth Order book and it’s excellent! 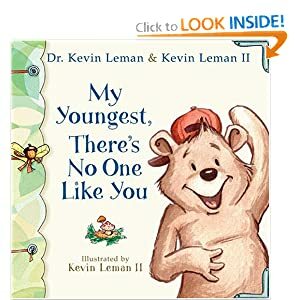 He has great insight into what makes each of your children special…. from the structured first born to the party-time baby! How do you specifically encourage your child?